The Ante Room is the first of the State Rooms that your guests will enter and is the perfect place to start any corporate or private event. 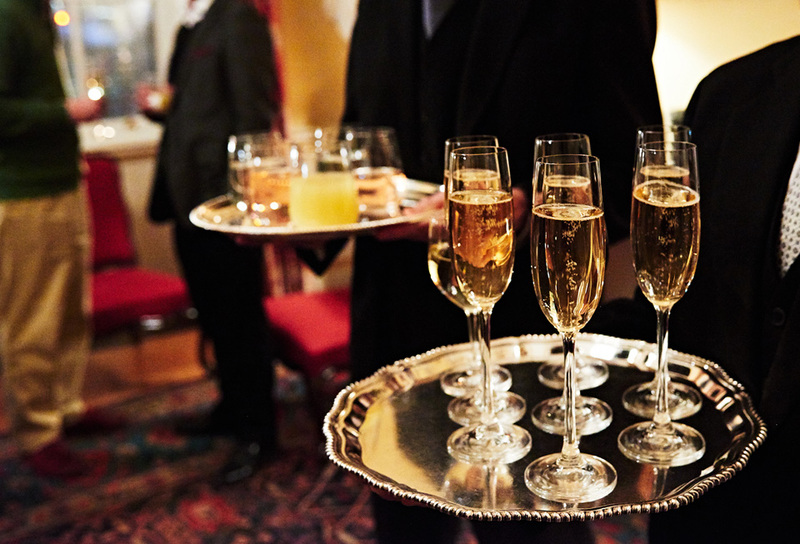 Warm and inviting, you can greet your guests with a chilled glass of champagne elegantly served by our butlers. 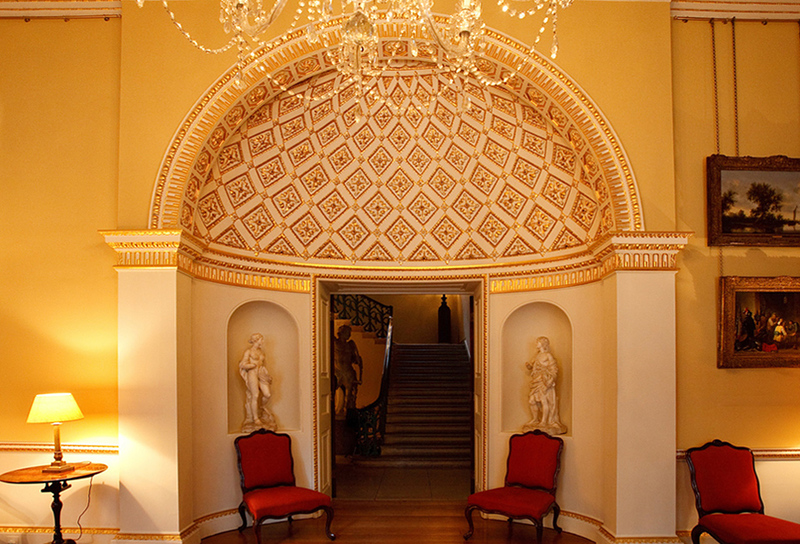 The Ante Room is the perfect place for your guests to be greeted. 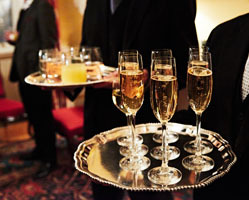 Uniformed butlers will offer your guests trays of chilled champagne or any other drinks of your choice. 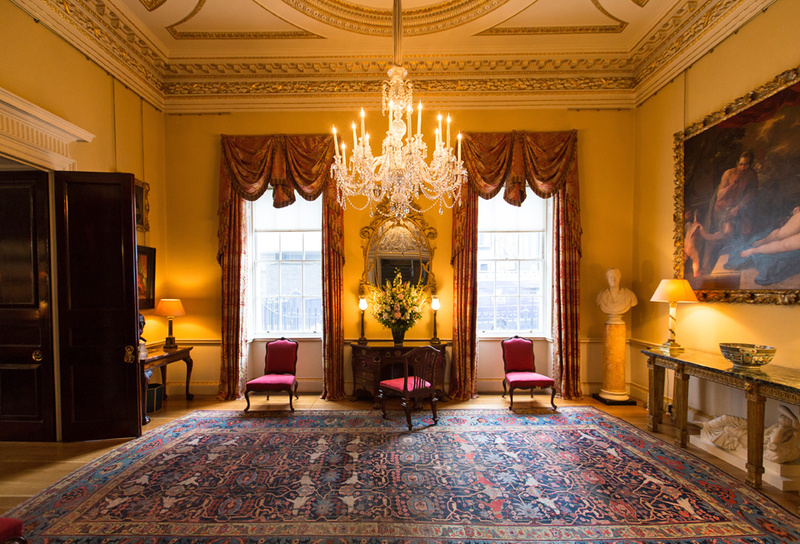 Guests will then be invited to carry on through to the Library and enjoy the sumptuous surroundings of the other ground floor rooms. For smaller events, the Ante Room and Library provide a comfortable setting for reception drinks. An elegant bar can be displayed on the marble side table and your guests can enjoy pre-dinner canapés in a welcoming environment. A harpist or string quartet can provide an atmosphere that befits the House and makes it all the more welcoming. Flower arrangements, provided by our carefully selected florists can enhance the occasion.  To see more of the Ante Room, please click on the adjacent image and scroll through the image gallery. For room configurations, view the floor plan.